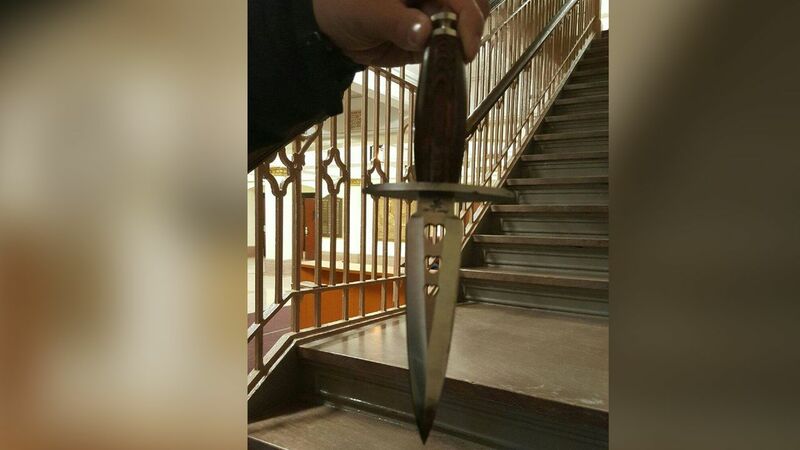 ELMHURST, Queens (WABC) -- A 16-year-old Queens student is accused of having a dagger at Newtown High School in Queens. Christopher McQuade put a knife to a 17-year-old girl's neck on Thursday, according to the New York City Police Department. McQuade faces charges of criminal possession of a weapon, menacing and harassment. Department of Education spokeswoman Toya Holness said police were immediately notified of the incident. "There is zero tolerance for weapons of any kind in our school building." There is no scanning at Newtown, which is located in Elmhurst.